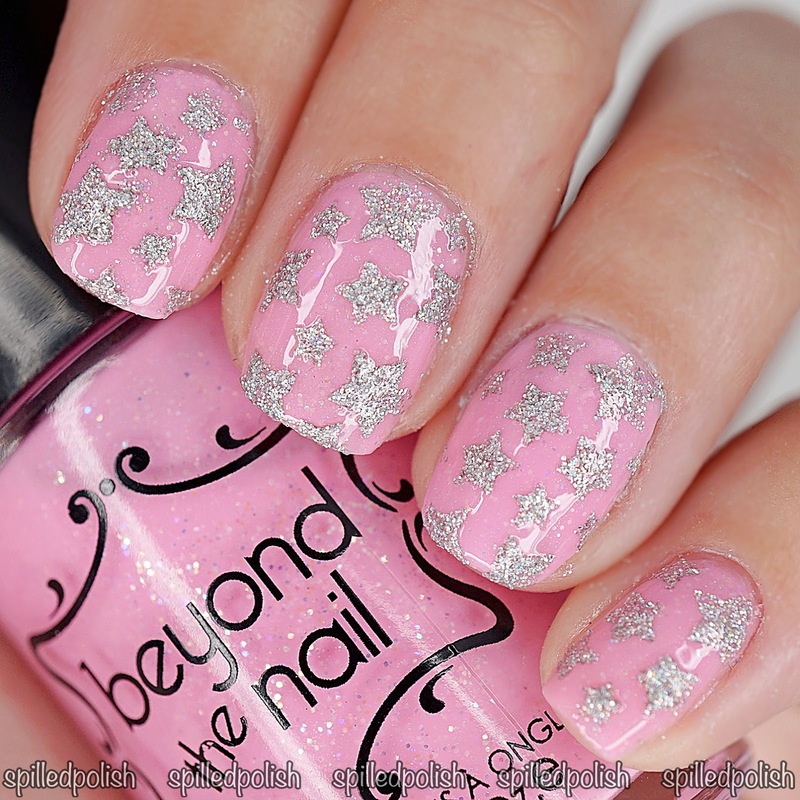 spilledpolish: Happy Birthday Becka (@beautybybekk)! I chose to do a bright pink mani with silver holographic stars because, to me, Becka is a such a bright and fun person who is always reaching for the stars! I started by painting all my nails with three thin coats of Beyond the Nail - Dreamhouse. When it was completely dry, I placed on a Star Shield Nail Guide over each nail and sponged on Beyond the Nail - Holographic Silver Microglitter. I peeled away the nail guides, and topped each nail off with one layer of PRO-FX - Quick Dry Topcoat.